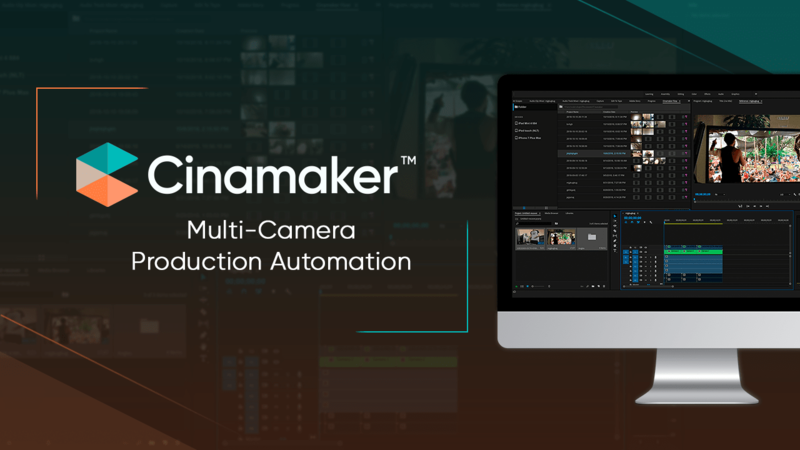 Your multi-camera video recordings, along with all cameras, edit decisions, metadata, graphics, and audio from Cinamaker will be transferred to your Adobe Premiere Pro timeline in perfect sync. Say goodbye to time-consuming processes and an inefficient workflow of simply syncing your files. You'll now be able to dedicate all that time you would've spent in post-production to doing what you love: creating content and continuously raising the bar in your video production future. Note: The Cinamaker Panel for Adobe Premiere CC can work in conjunction with the Cinamaker Handoff app for MacOS to enable seamless media management between Cinamaker and Adobe Premiere Pro CC.